Clowns on Rounds,Inc. is a not-for-profit corporation. Our purpose is to encourage in hospitalized patients in having a positive attitude toward their illness. 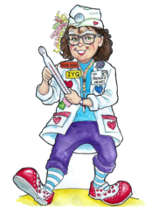 Through humor we help to alleviate the fears, anxieties and stress experienced by patients, their families, friends and caregivers. 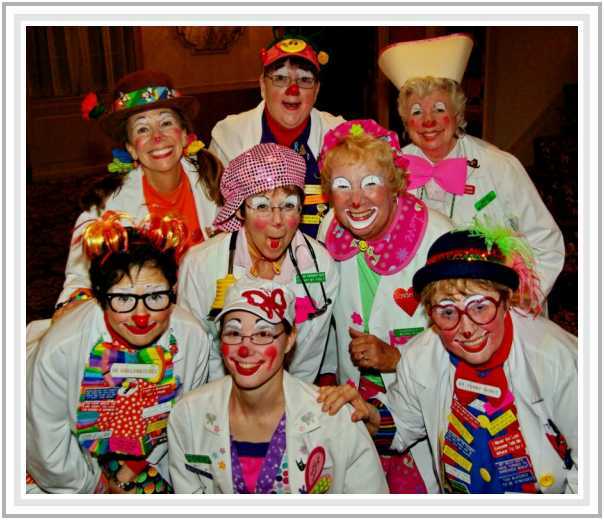 The families and friends of patients will also benefit from a visit from the Clowns on Rounds Staff. They are made aware that no matter what the illness, there still exists the same person they knew before the hospital stay. Hearing them laugh and seeing them smile, families & friends are reminded that there is a healthy part of the patient that needs treatment as well. Humor Therapy is just the right prescription.